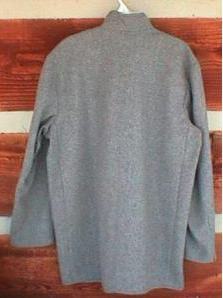 The grey coat has six CSA buttons down the front and one chest pocket inside. 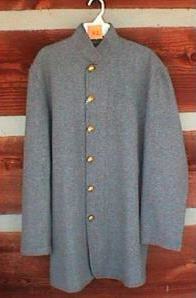 The coat is very well made and would be great for any historical reenactment. Pictured below is grey; navy is also available (The navy coat has four eagle buttons instead of six CSA buttons and a turned back collar instead of a stand up collar).